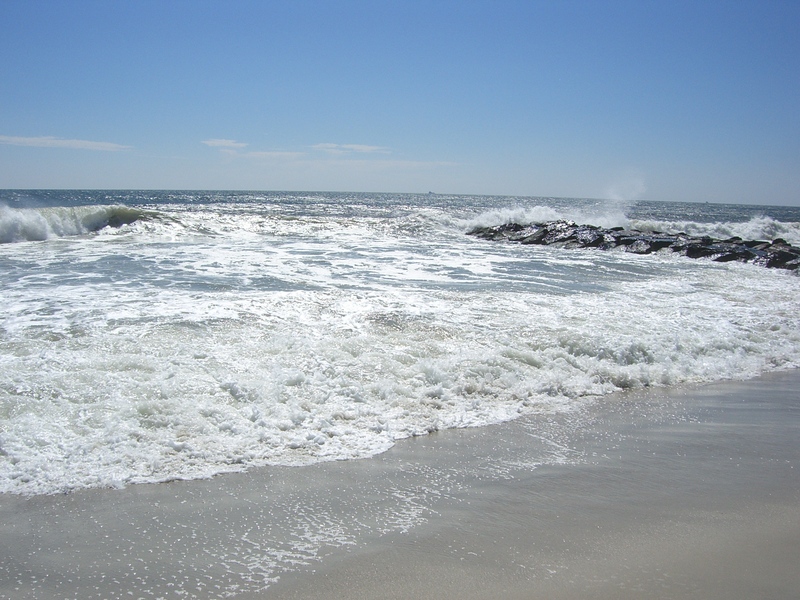 Long Beach, New York offers a fun-loving beach lifestyle just fifty minutes from Manhattan. This paradise, just a train-ride away from the center of New York City, awaits you. We have world-class beaches, award winning surf instructors, eclectic restaurants, live music & bars, ice cream shops, hotels and some of the softest sand your toes will ever meet. With two hotels The Allegria and The Long Beach Hotel there are plenty of accommodations for those who wish to spend more than the day. Pack your surf boards, beach chairs & coolers & know that the train station, in the center of town, is just a short walk to the sand. Day-trippers can stock up on cold drinks and snacks at the Waldbaums adjacent to the station. Walk south from the train, towards the ocean, and as you breathe in our salty sea air you’ll be at our newly built boardwalk. For just $12 you can enjoy the surf and sand of Long Beach all day long. Returning visitors might want to consider a summer pass that can be purchased at the entrance stands at a few of our beaches. A new addition to Long Beach is our ‘shoregasboard’. Just next to the flying trapeze on the corner of Riverside and the beach, you’ll find food trucks from local eateries serving delicious cuisine from lobster rolls to fruit smoothies to keep beach goers satiated all day. Our city is filled with a multitude of dining opportunities offering a variety of mouth watering cuisine including delis, sushi, organic smoothies, fresh seafood, pizza, barbecue and some of the best bagels around. Visitors will find a diverse city filled with a variety of activities. Take a surf lesson, browse our farmers market, treat yourself to a frozen yogurt at Tutti Frutti, spend an evening eating outside in the West End, or just enjoy a lazy day at the beach running your toes through our sand. Long Beach is a true city by the sea. We host craft fairs & concerts in the summer and parades all autumn long. Most days you’ll find locals fishing by the shore, doing yoga on the beach, stand up paddle boarding, taking surf lessons & even trying their first flight on the new trapeze overlooking the sea. The true polar bears among us even meet on the sand in February when thousands flock to Long Beach and happily plunge themselves into the icy cold ocean all in the name of charity. Come visit our city by the sea and find your paradise. Spend a day basking in the sunshine and listening to the sound of the waves. Eat ice cream, visit our restaurants, have a cocktail at our hotels and hang ten with our surf instructors. One day at our shores and your soul will feel rejuvenated. And as you check your calendar to see the next time you can return, just know that once you’ve been here-you’ll always have a little bit of Long Beach sand in your shoes. There’s a saying we’ve often seen written on pieces of driftwood and sold in the touristy shops just off the beach. It reads ‘if you’re lucky enough to live at the beach, you’re lucky enough’ and with our recent overseas summer travel having gifted me perspective, I once again know that I wholeheartedly agree with that saying. 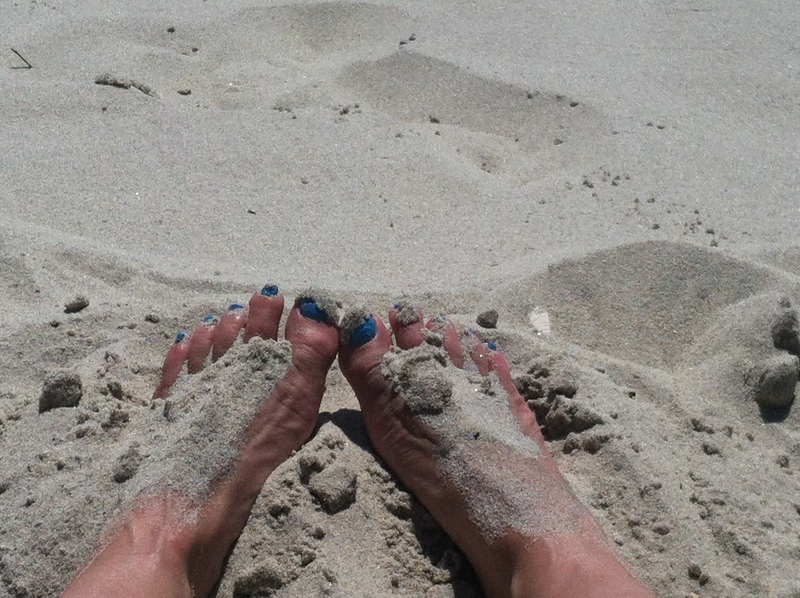 It tugs at my heart and reminds my toes once again how joyful it is to each day run through the sand. From my spot on the sand at Azores Beach, just outside my building in Long Beach, New York, I sit watching the waves crash at the shore while our friendly lifeguards sit atop the stand guarding the ocean-going participants. 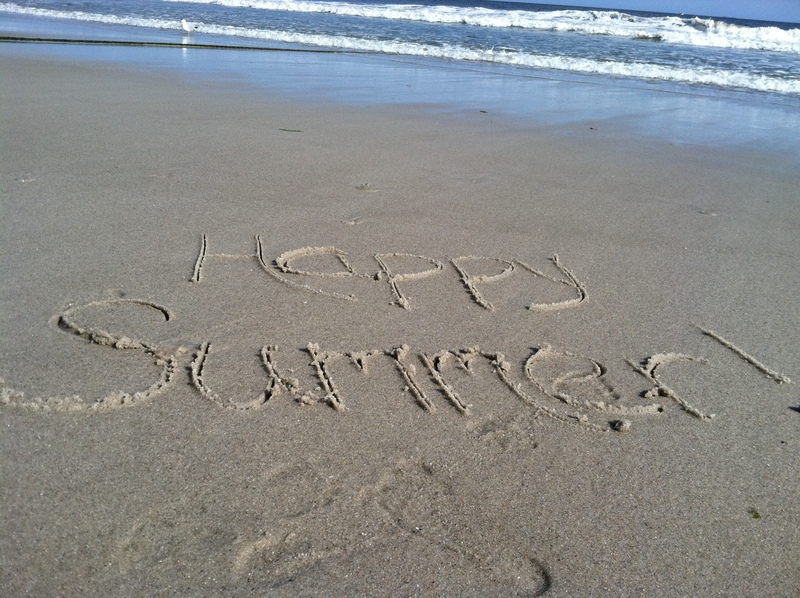 On this last ‘official’ summer weekend people once again hit the beach for what some believe to be the last hurrah, but we, the lucky ones, know otherwise. The lifeguards will no longer arrive each morning, the trucks will cease to drive in the makeshift emergency lane and the lieutenants will close up headquarters on National Beach only to head off to other jobs or locations before they return next Memorial Day. As this was my second summer not working (by choice) I was given the gift of time and much of it was spent on my old orange beach chair under my umbrella on Azores Beach. I walked the Long Beach boardwalk every morning waving at the same early morning crowd. There were those working out, reading, chatting with friends, checking out the surf breaks and others enjoying the smell of the sea who would be there each day as I walked those 2.2 miles each way and tapped the railings at each end to make it count. The lifeguards took their spots by nine each morning and spent the day in the Long Beach sun changing outfits with the change in the weather while always having a watchful eye on beach and ocean goers alike. The smell of the sea and the feel of the sand has always been a part of my life but it is this weekend as others pack away their chairs and umbrellas that I am overcome with the feeling of just how lucky I am. Lucky that is that for those of us who live here there is always ‘beach season’. It may be sweatpants instead of sarongs and sweatshirts instead of bikinis but the sand and the sea never disappoint. 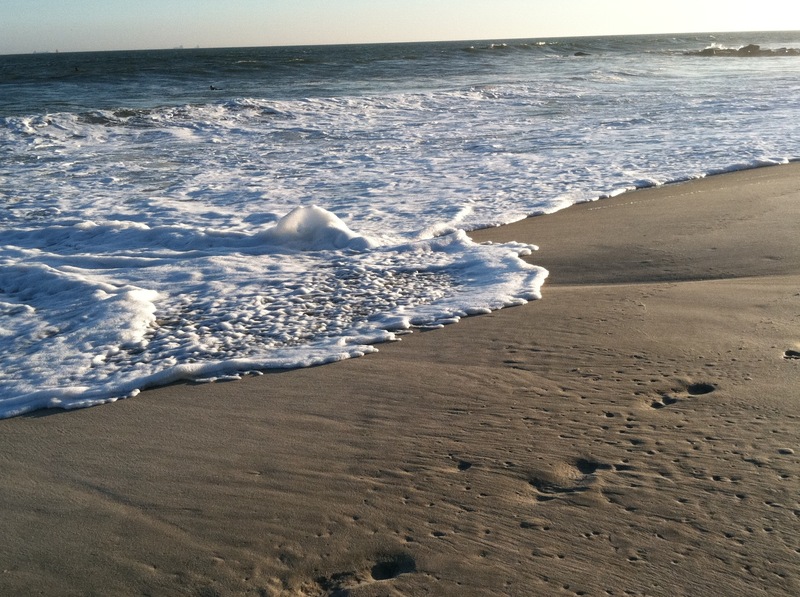 A walk along the waters edge as the waves crash and the white foam slides over your toes sinking your feet ever so slightly deeper into the sand is a sure-fire way to forget your daily worries. With each crash of the wave the ocean provides answers to life’s deepest questions and gives solace to those searching for that elusive inner peace. With homemade s’mores cupcakes in hand to deliver to our lifeguards as a thank you for the summer, Mathew and I sat on our beach awaiting that 6pm whistle. Along with our fellow beach goers from our condo at the shore, we clapped as the lifeguards journeyed from their chair and down the mound of sand knowing that when the lifeguard stands come down for their winter rest we will be ready in eight months time to see them rise again in all of their orange glory. When that last whistle blew signifying their departure and the ‘unofficial’ end to beach season, we once again wiggled our toes in the sand and remembered that our season doesn’t have to end and we truly are lucky enough.